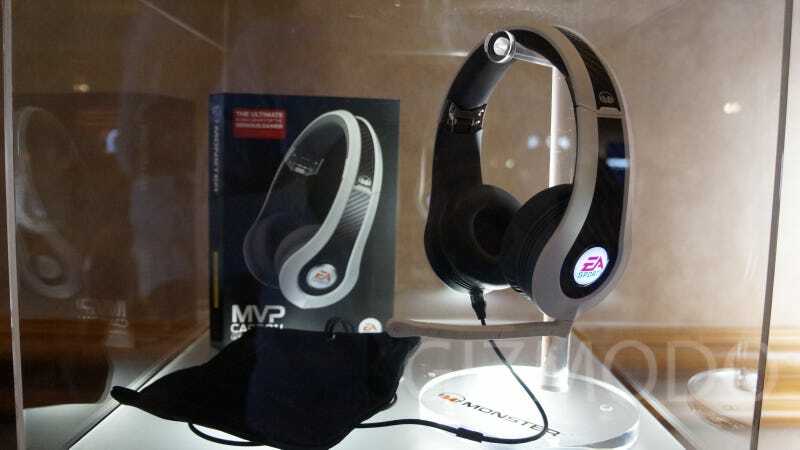 Monster also introduced a slimmer version of their Inspiration headphones, not so creatively called Inspiration Lite. They're customizable—Monster showed off head straps with spikes and balls and feathers and wavy runway fabric—and will retail for $250. Unlike the full sized Inspiration headphones, the Inspiration Lite won't be noise canceling. Monster is also rebranding its sports headphones. You won't see Lance Armstrong or Livestrong anymore (oof), instead, NFL quarterback Drew Brees will be the new face of the iSport headphones. Other than that, what's new with Monster is what's been true with Monster since it partnered with Dr. Dre for the Beats way back when. Celebrity endorsed headphones (Nick Cannon, Tyson Beckford), a ton of different color and style options and huge partnerships with giant companies (UFC, Viacom). It's not just about how good the headphones sound, it's about how cool they make you look too.